Authentic Happiness: The Best Ways to Stay Positive and Upbeat I Joined InfoBarrel, Now How do I Succeed? Your health is really the only thing in this world that you have of value. Think about that for a minute. Without it, everything changes. Increasingly good dental health is being linked to good overall health because of the bacteria in the mouth. Bleeding gums not only lead to an assortment of problems in your mouth, but also pass bacteria through the bloodstream into your internal organs such as your heart. For years doctors recommended that even people with minor heart issues, such as mitral valve prolaspe, take antibiotics the day of their dental appointments. They reasoned that so many bacteria were being released into the blood stream at once that it could potentially cause an infection or worse. Five years ago I suddenly started having bleeding gums for no apparent reason. I thought it was because I had switched to a new kind of thin waxed floss and I was making them bleed myself. Honestly, before that time I had not taken the time to floss that often and considered it a nuisance. I brushed my teeth regularly and used a plaque and tartar rinse for years, but only occasionally flossed. I also had not been to see the dentist in about three years, mostly because of insurance issues. Everything seemed fine up until that point and I actually thought I was doing well. Then the sudden bleeding started. Understand, it was not blood pouring from my mouth, it was simply at the edges of my gums. Again, I thought I was doing it to myself by flossing too hard or with the wrong kind of floss. Previously, when I would go in for a checkup, my dentist always made them bleed when he would floss at the end of a cleaning. I just needed to toughen up my gums, or so I thought. In fact, bleeding gums after flossing is not a good sign. You should not think of it as simply needing to toughen up tender tissue. Sure, after the first couple of flossings, you might spit out a little blood, but it should be minor. If it occurs after the second or third time you floss, you have other issues besides tender gums as I would find out. In my case, I was panicked enough to make an appointment with a periodontist. After my exam, he told me I had tartar under my gum line which was causing irritation. I would have to undergo a procedure called scaling to remove it. He also said everyone has gingivitis to a certain extent no matter what you do. I returned on two separate visits to have one side of my mouth, top and bottom, done on one day, then a couple of days later the other side was done. Each session involved about 15 shots of novocain to deaden the gums. So this quickly became a painful and slightly expensive lesson for me as the total for everything ended up being around $1300. The actual procedure was nothing really, and took about an hour for each side. The only moments of discomfort came when he was giving me shots in certain areas, particularly the roof of my mouth. That was a fun one. It felt like he was sticking a needle into my brain for a second. So if that description makes you cringe, then maybe you will pay attention to some of the things I learned from this particular experience. Plaque is not hard to remove. As my Periodontist said, “Brush your teeth gently as if you are brushing a paint brush across a wall.” Brushing hard does not equal brushing better. In fact, it is counterproductive because you are more than likely pushing up and down causing your gums to recede. I had never been one of those up and down brushers you always see on television commercials, but he did give me some tips to help me developing a better brushing pattern. As was explained to me, brush your teeth softly downward, or upward, from the gum line like you are painting a delicate surface. The plaque will simply wipe way. There is no need to mimic a scrubbing motion on your teeth. That is not going to remove any more plaque or make your teeth whiter. In the years since, I have developed other methods also. For instance, at some point during my brushing routine, I use the toothbrush bristles to gently “stab” in between each tooth, essentially flossing them before I actually floss. Again, this is a very gentle motion. I always thought these were more of a gimmick but my dental hygienist recommended I use one on subsequent visits. Two years ago I bought my first one. There are two basic types: one with the rotating circular brush head and another that looks like a toothbrush and move back and forth to mimic brushing action. 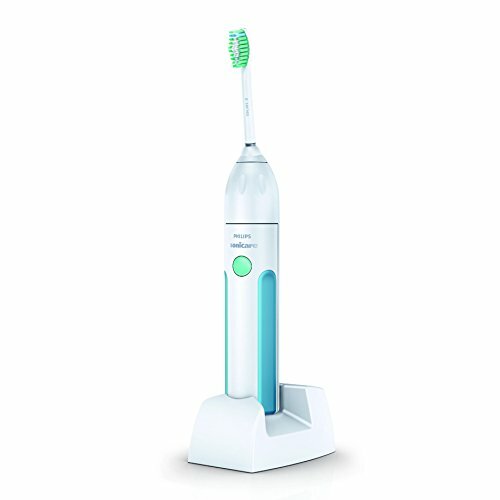 I like the rotating brush head because whenever I brush my teeth at night, I use both a regular tooth brush first, then floss, then use the battery powered rotating brush head. Most of them have a built-in two minute timer with 30 seconds intervals to let you know when to switch to another quadrant of your mouth. I use mine every day at least once and it has definitely helped to maintain that smooth feel you have on your teeth after a dental cleaning. In fact, I used mine so much, I wore it out about a year ago and bought another one of the same models. The batteries will last at least a year. Honestly, I am not sure what happened to that first one. The battery did not give any sign of failing, it just would not start one day so I replaced it. 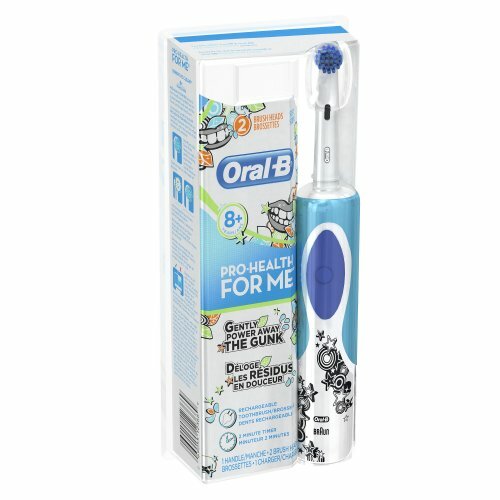 I have been on my current one from Oral B for about a year and a half now and it is still going strong. Even if it fails tomorrow, I will still buy another one because I have gotten my use out of it. At the end of 2014, I got one of the SonicCare toothbrushes and I have to say, I am very impressed. It is quieter and very thorough. I now use both, one in the morning and the other at night. I suppose before I tell you what type of floss is best, I should mention that if you are not flossing at least once a day, you might as well not even brush your teeth. It is that important. In fact, most dentists will tell you that if you could only do one of those activities each day, they would say floss instead of brushing. So what is wrong with waxed floss? Well, anything is better than nothing, but waxed floss is less effective than other kinds. Most people use the thinner waxed floss because they want it to slide in and out of their teeth easily, however as my Periodontist said, you want as much friction as possible when flossing to remove more off the surface of the tooth. 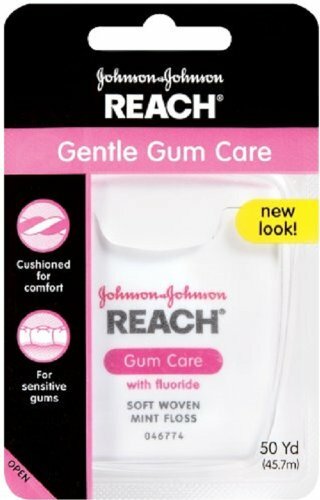 For that reason, he recommended a specific kind of woven floss made by Johnson and Johnson which I will provide a link to below. I have used this stuff ever since. It really is like using a thin piece of yarn, however, it works better and it will not cut your gums. I have a hard time finding it in stores sometimes. Walmart and Target carry it, but they are sold out of it a lot. When I do find it, I usually buy 4 or 5 of them. I suppose now that I am telling more people about it, it may become even harder to find, however, you can also order it online. Consider this my public service announcement. Do not take your mouth for granted. It has been five years since I had my procedure done and I haven't looked back. Taking care of my teeth is now a hobby. I floss multiple times a day along with brushing after eating anything. Losing your teeth is a traumatic experience for anyone. Most people are only concerned about how white their teeth are, but that is a trivial matter. Problems with your teeth and gums can lead to much more serious health issues that will affect more than your appearance so take this seriously. Honestly, if you are not flossing daily, you have a dirty mouth. When I told a friend of mine that I was having that done years ago, he mentioned that he had the same thing several years ago. But what surprised me the most was that it had absolutely no effect on his life. He did not change his behavior. He still never flossed. However, I learned my lesson five years ago and have not had an issue since. Hopefully my experience and some of the advice I was given will help others reading this to avoid any painful or costly dental repairs and lead to better dental and overall health. I am happy I ran into this article: it draw my attention back to one of the important things!